Dr. Emile H. Hawkins, Sr., is a Full Professor of Organizational Leadership and Chair of the Historical, Legal and Leadership Studies Department at Southeastern University in Lakeland, Florida. 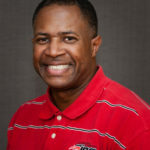 Previously, Dr. Hawkins was the Dean of the School of Business and Library Services at Oklahoma Wesleyan University in Bartlesville, Oklahoma. He holds a Doctorate in Strategic Leadership from Regent University, Virginia Beach, VA., and a Master’s in Theological/Historical Studies with a concentration in Pentecostal/Charismatic Studies from Oral Roberts University, Tulsa, OK. He also earned a Bachelor of Professional Studies degree from Barry University, Miami, FL. Dr. Hawkins has a combined 21-year career of service to his country in both the Marine Corps Reserves and the Air National Guard. In the Florida Air National Guard, he serves as Wing Chaplain in the rank of Lt. Colonel. Emile successfully pastored Liberty World Outreach Church in Tulsa, Oklahoma for 14 years. Under his leadership, the church grew from several families to several hundred members. He sent out four pastors and has licensed over 50 men and women as ministers of the Gospel. Dr. Hawkins was the Assistant Pastor of Evangelism and Outreach as well as the church drummer and praise and worship leader. Before coming on staff at JPM, Dr. Hawkins was employed for ten years at the University of Miami-Jackson Memorial Hospital where he served as an Assistant Administrator for Program Planning. Emile, co-authored Coming Home: A Devotional Journal for Those Who Serve and Those Who Wait and the soon to be released book Man Overboard . . . and the leaders that watched him sink! He and his wife, Lisa, have been married 34 years and are the parents of two sons, Emile Jr., married to Nathalie and Emmanuel married to Alyssa. To their great joy, Dr. and Mrs. Hawkins have now joined the proud grandparents “club.” Emile has been a police chaplain for 10 years with the Tulsa, Oklahoma Police department and chaplain for the Lakeland, Florida Police Department since 2011. Recently, Emile has become a Sworn Auxiliary Florida Highway Patrol Trooper.